Like Merchant Ships: Happy Birthday to the World's Best Husband! Happy Birthday to the World's Best Husband! 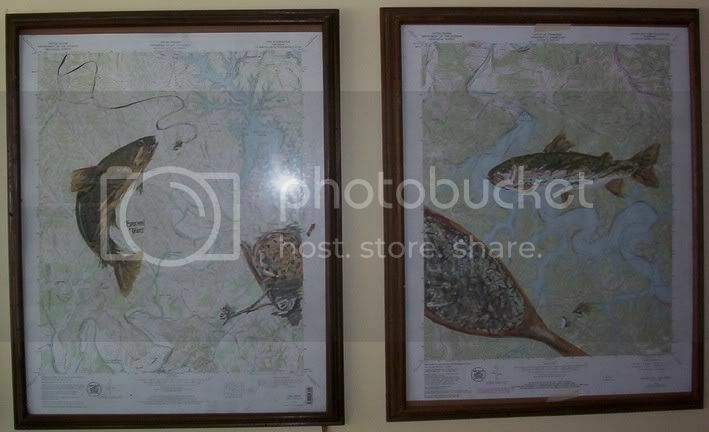 I wanted to combine his passions for maps and fly fishing, but I couldn't find any artwork we could afford. Enter three giant frames from an expensive gallery ($5 at a thrift store). I stayed up late painting a brown superimposed on one map and a rainbow on the other. Total cost: under $25 for 3. Crafting a project around salvaged materials can be a HUGE moneysaver!